Use the tool below to quickly identify the type of Web Hosting solution you require. Just answer a few simple questions and it will find you a plan perfectly tailored to your requirements! To read our in depth Guide to Web Hosting, scroll down by clicking here or jump to a specific section using the links in the bottom-right corner of the page. Do you have a CMS or similar in mind? Do you have a favorite eCommerce platform? What is the planned size of your online shop? Which kind of hosting are you looking for? What kind of business website are you planning? Do you have a favorite blogging or CMS platform? Do you have any preferences for contacting support? Unsure what you need? Find out here! Which area interests you more? Web Hosting Definition - What is a Web Hosting Service? What does Web Hosting mean and why do I need it? Web Hosting is the name of the process which makes a website publicly available on the Internet. The hosting provider leases you an allocation virtual space (i.e. 15GB) on a server, which is usually housed along with hundreds more in a purpose-built data center. Your website is stored on the server, in much the same way that photos are stored on your mobile phone or tablet PC, but the crucial difference is that the server also provides access to your site for anyone around the world who is connected to the Internet. 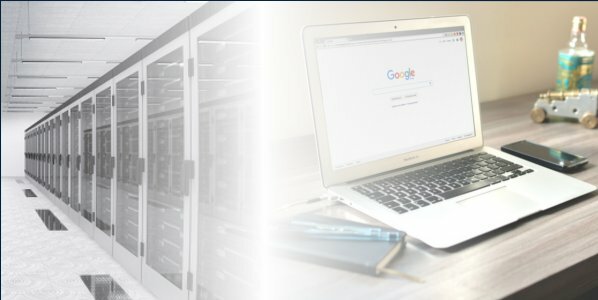 A server is basically a powerful computer, and Web Hosting servers are specifically designed to withstand this type of traffic in high volumes. Finding the right Web Hosting service provider is an important early decision for any website owner to make. Essentially, you will be paying the hosting company to look after your website – which for some people means trusting them with their livelihood. There are many different types of Web Hosting plan, just as there are many different types of website. In this guide we give you the information which will enable you to make a fully informed decision on the type of hosting your site requires. What’s the difference between Web Hosting and Domain Names? Web Hosting is for storing the website and making it available online. The Domain Name is basically the address of your site – what you want people to type into their browser after www. to find you. For example, our Domain Name is webhostingsearch.com. Typically, you will need to register your Domain with a third party such as GoDaddy and then assign it to your website via your hosting provider. This is usually a quick and easy process, and is necessary to ensure that people can find your site when they look for it. Some Web Hosting providers offer you the opportunity to register your Domain Name directly through them (sometimes even for free), thereby simplifying the process of getting your site up and running even further. Those of you who still aren’t sure what you need, but want to get started anyway – check out our Quick-Start Hosting Wizard at the top of this page to get an answer in less than 15 seconds! If you have decided on the type of Web Hosting you need, you can find it on our Hosting Types page. Click your chosen hosting type, and you will see some of the best value high quality hosting options available for that particular speciality. There is also further information about the hosting type, in case you are still not 100% convinced. Alternatively, you can try our Advanced Search tool if you know your requirements and want to find hosting plans with specific features. After you click any of the ‘Get Hosting’ buttons on our site, you will be taken directly to the hosting provider you chose. At this point, you are given the opportunity to confirm your choice of plan and decide on which additional features you require, if any. Enter the relevant information about yourself, click a button and congratulations – you just bagged yourself a Web Hosting service! The whole process should take 5-10 minutes at most. The provider will immediately email you all the information you need to log into your hosting control panel. This is where you can link your hosting service to a Content Management System (CMS) such as WordPress, assign your website a Domain Name, create email addresses, and much more. Our Knowledge Base has a wide selection of articles on making the most of your hosting service once it is up and running, which can take you into more depth than this guide has space for. Hosting Types – What kind of Hosting Service should I use to host my site? Unmanaged hosting and managed hosting both rely on the same hardware. The difference between them is who maintains and manages the server – you, or the hosting provider. Put simply, making the choice between unmanaged hosting and managed hosting is all about considering cost, time and capability. As the less costly option, unmanaged hosting is preferable for those purely interested in the bottom line. The prices are often appealing for new websites without much capital, but these plans come with minimal support for handling everyday server issues. While you will have some technical support available from the provider, the majority is only available at an extra cost. Server administration must be handled by the website owner in-house, which can be challenging or even downright impossible for those with little to no experience. Some website owners, especially those with newer websites or low traffic, prefer the lower monthly costs of unmanaged hosting since the occasional maintenance fees can cost less overall than the monthly premiums of managed hosting. Other website owners may opt for unmanaged hosting if they have a strong technical staff already employed that has the capacity to handle server upkeep. It is also worth considering that some websites start with unmanaged hosting, but eventually graduate to managed hosting once their need for updates and maintenance becomes pressing enough to justify the additional cost. By contrast, managed hosting is very hands-off for the website owner, with the hosting company providing much more in terms of support structure. With this type of hosting, you not only lease the server space, but also the services of your hosting provider’s support staff. They take the responsibility for maintaining, monitoring and managing your server, fine-tuning it and generally keeping your website running smoothly. This support can even include hardware maintenance, upgrades and the installation of extra features. Because of the increased cost associated with this type of hosting, managed hosting is usually more popular with well-established and profitable sites. This type of site would utilize the extra support services enough to make the jump in cost worthwhile. Other website owners may opt for managed hosting if they lack the capability, time or experience to effectively maintain a server. Sometimes, website owners will shift from managed hosting to unmanaged hosting if their website flourishes enough to warrant adding full time in house technical staff to support server issues. If you are thinking “what is the difference?” or “why does it matter?” then Linux Hosting is what you need. The vast majority of hosting providers use the open-source operating system known as Linux on their web servers, largely because it is not necessary to pay a license fee. This enables them to offer hosting plans to potential customers at rock-bottom prices. It is an entirely legitimate, credible and versatile platform highly popular with web professionals worldwide. By contrast, Windows Hosting is leasing a web server running one of the Windows Server operating systems. This is in no way relevant to the operating system you use on your personal computer. In the server operating system market, Linux is the standard used by the majority of people, and Windows is used by those who specifically need it. In the personal computer operating system market, it is the opposite. Even if your personal computer runs Windows, there is no additional benefit to be gained from getting a Windows Hosting plan. However, if you have coded a site using ASP (Active Server Pages) or ASP.NET, or if you just want the additional peace of mind that comes with using a certified Microsoft product, Windows Hosting could be a strong choice for you. The cheapest option available to those looking to get a self-hosted website online is Shared Server Web Hosting. Also commonly known as simply ‘Cheap Web Hosting’, these plans are designed to be the perfect entry-level solution for people who are just beginning to craft their online presence and are easily the most popular web hosting option currently on the market. Shared Server hosting involves dividing a single physical web server into virtual sections (often over 100), each with their own allocations of storage space, bandwidth, email accounts and hosting features. These plans come in a variety of sizes, so it is possible for the majority of people to get a Cheap Web Hosting service which corresponds to the needs of their website. Shared Server hosting quite often serves as a base product for many other types of hosting which can be found on this site. It is very easy to find Shared Server hosting packages that specifically cater to certain types of websites, like eCommerce, WordPress, Joomla and more. Cheap Web Hosting is highly flexible, both in terms of how much resource you buy from the provider, and its potential uses. For these reasons, it is ideal for professional blogging, new eCommerce websites or even personal portfolios. If you your website is too big for a Cheap Web Hosting plan, the next logical step is to look at getting a Virtual Private Server (VPS). VPS is essentially the halfway point between Shared Server hosting and Dedicated Server hosting. Like with Shared Server hosting, multiple websites are hosted on a single physical server. And similarly to Dedicated Server hosting, VPS accounts have plenty of access to server settings such as software libraries, security options and even the operating system. Hosting providers achieve this by storing websites on their own virtual machines (VM) within a single physical server. The VMs are completely separate except in the physical sense, which enables each one to have its own configuration. This affords you more flexibility, functionality and security than a Shared Server hosting solution. They also offer greater processing power, more generous data transfer limits, and a larger amount of disk storage space. Virtual Private Servers are an ideal upgrade for high-traffic websites or busy eCommerce sites that have outgrown their Shared Server hosting plans but aren’t ready for the financial outlay of a Dedicated Server. All web servers experience issues sometimes, which is why Cloud Hosting is one of the most reliable Web Hosting options currently available. The primary difference between Cloud Hosting and its alternatives is that it employs a distributed data philosophy. This allows information to be stored remotely, scattered throughout many different servers across multiple data centers, with redundant access that makes it available even if one particular server goes down. This is achieved by linking a group of servers via a network, which then work together to deliver the hosting service. The servers are load-balanced ensuring an even spread of resource usage at all times, which has the added benefit of lengthening the working life of the servers. And if one goes down, the other servers will automatically adjust to pick up the slack. Cloud Hosting is also arguably the most flexible and scalable hosting solution. Hosting your website across multiple servers means that there is a great deal more storage, bandwidth and processing power available for when you need it. Cloud Hosting providers are therefore able to make adjusting your storage or bandwidth quota as simple as moving a slider on your control panel. This pay-as-you-use pricing structure is a huge advantage for website owners looking to maintain online visibility throughout traffic spikes while remaining within a budget. If you are looking for nothing less than the gold standard in Web Hosting, a Dedicated Server hosting solution is what you need. With a Dedicated Server plan, you rent an entire physical server from the Web Hosting provider. Unlike Shared, VPS and Cloud, the server is reserved for your exclusive use – no one else can use that server unless you say so. As no-one else is competing for your bandwidth, there is no possibility that a large and unexpected traffic spike on another website can affect your uptime. Dedicated Servers are perfect for large websites which have already established a steady flow of visitors and therefore require an entire server to handle the task of hosting it. Additionally, the server is fully customisable with your preferred operating system and software, your resources are not shared with any other sites, and security is potentially much stronger (depending on the server’s configuration). The sheer amount of configuration options may be a lot to take in, especially if you are inexperienced in server administration. Fortunately, you can get managed Dedicated Server plans – where the hosting provider will ensure the server is correctly set up, operating smoothly, regularly monitored and fully backed up. If you want the best possible Web Hosting experience, with unrivalled reliability, security, customisation and resources, you can’t go wrong with a Dedicated Server. Web Hosting Fees – How much does Web Hosting cost? The standard monthly fee for Web Hosting varies greatly depending on the type of hosting service you choose, but the figures below can give you an approximation. Assuming that you also get a Domain Name from your hosting company, and stay within your quota, a basic Shared Server plan should cost between $5-10 per month, on a contract of 1 year or more. Virtual Private Servers can be leased for around $30, while Dedicated Server plans average out at around $100 per month. What does ‘Unlimited’ really mean? One selling point that you are likely to see on most Cheap Web Hosting plans is the promise of ‘unlimited’ bandwidth and storage. In this context, you should consider ‘unlimited’ purely as a marketing term, and certainly not a bona fide guarantee. In reality, there are always limitations associated with features like bandwidth, storage space, and email addresses. For the truest indicator of your plan’s limits, always read the terms and conditions, paying special attention to the ‘Fair Use’ policy. It is also worth factoring in paid extras. For example these could include SSL certificates, email addresses containing your Domain, analytics software and so on. Some hosting plans come with a free Domain Name, but always check how long it is free for. If the price will jump up to $10 annually after the first year, knowing about it in advance will help you to budget effectively. It is also advisable to know what penalties there are if you accidentally exceed your storage or bandwidth quota, as these can be quite severe on the cheapest hosting plans. Free Website Hosting – What’s the catch? Free Web Hosting is essentially publishing your content on the Internet via a free platform such as WordPress.com (not to be confused with the self-hosted WordPress.org). The idea is appealing due to the lack of financial commitment you are required to make, and the lack of risk you are required to take. You can set up your site immediately and walk away any time, no questions asked. However, you don’t legally own the content that goes on the site. It is hosted by the website owner, and they hold all the rights to that content. When you tick the box stating you accept the Terms and Conditions of their service, you are giving them the right to use, redistribute, modify or even delete the content you put there. Conversely, when you store your website with a paid web hosting service, you retain full rights to all content posted and all profit generated. You can get your website online for under $10/month – a worthy investment to ensure that your content and income remains your own. There’s no denying that free hosting is appealing. But like renting a home instead of buying one, its convenience is offset by the inability to properly plan for the future, and your site’s profitability will be limited by the free host’s rules and restrictions. If your goal is to create something lasting, start working toward that goal from the first day and get a paid hosting plan. Not convinced? Read our article outlining the Pros and Cons of Free Web Hosting. Best Hosting Websites – Who are the top Hosting Providers? Web Hosting providers are a dime a dozen, so it is worth spending time browsing your options – and you are definitely on the right website for that! Take a look at the points in the section below and decide what it is you are looking for, before you start looking. Once you have established your specific requirements, our Advanced Search tool can help you to narrow down your options. Compare your options according to plan price, features offered and customer review scores to inform your decision. Hopefully by this stage you have found two or three Web Hosting solutions which meet your requirements. Now it is time to do a quick background check – read impartial customer reviews to get an idea for how they work. As a general rule, it is advisable to look for established companies with good reputations in the industry. One way to find these is to use the same company as other successful sites you know. Website downtime is more often than not due to unreliable servers, poor configuration or the hosting provider inviting more traffic than the server can handle. How your chosen web host manages and maintains their servers reflects on your website. If your site is often unavailable, you can end up giving your visitors a thoroughly negative impression and they will look elsewhere for what they need. How to choose Web Hosting – What to look for? Web Hosting plans come with a vast array of features and extras which can be more than a little overwhelming at first. Here we explain the key aspects of any hosting plan, and what you should be expecting from your provider in these respects. The three most important aspects of your Web Hosting contract are its length, flexibility, and money-back guarantee. Committing to a longer contract is an excellent way to reduce initial costs. Ideally you will only pay for what you use, but you should be sure that the plan can adapt to the needs of the website if they do unexpectedly change. Buying a hosting plan is an expense, plain and simple. One great way to ensure that you have a happy relationship with your web hosting company is to find one that offers flexible payment options. Look for plans with little or no penalty for cancelled plans or missed payments, and a money-back guarantee in case you change your mind. There’s a big difference between 99.9% and 99.99% uptime. Uptime is a strong indicator of how reliable a hosting service is. Almost all hosting providers quote their uptime, and many also offer an uptime guarantee promising to keep it above a certain percentage (usually 99.9%). If the hosting provider falls short of their promise, they may be obliged to offer you some form of refund or compensation. However, the refunds from such guarantees pale in comparison to the losses that websites can suffer due to significant downtime periods, so it is better to choose a host with strong uptime, and not necessarily the one offering the best guarantee. Occasionally there will be planned downtime to allow for server maintenance, but any good hosting provider will give you plenty of advance warning in these cases. Using a hosting company that regularly and comprehensively backs up your website provides indispensable peace of mind, as you can get on with running your site without worrying that it could all be irrevocably gone at any moment. Consider the regularity of the backups that your hosting provider offers, and how long it takes to restore a site from a backup. Unmanaged plans typically don’t include this service, but there may be an option to pay an extra fee for it. Monitoring is also a key aspect to consider. Thorough monitoring of your website and server can help to prevent potential issues further down the line. Again, this is mainly exclusive to managed hosting plans. Errors and issues can crop up at any time, and when they do, you will want them resolved immediately. It is rare nowadays for a Web Hosting provider to offer anything less than 24/7 support via online live chat and/or email, with many offering toll-free phone support as well. While trying to decide upon your hosting provider, try contacting their support services to get an idea of the level of service. Is there a long wait in a bad phone tree? Are the agents friendly? You can even take the opportunity to test their knowledge by asking them some basic technical questions. Furthermore, some providers offer a hosting plan ‘rep’, who will act as your liaison with the Web Hosting company, personally ensuring that your requests are fulfilled promptly. Find out where the server(s) you will be hosting your website on is located, and what measures are in place should the data center experience an issue. The more traffic (visitors) you get to your site, the better. If you expect a lot of traffic you will need a hosting solution that can handle it – making bandwidth one the most important aspects of a hosting plan. It is always better to have more than enough bandwidth – not having enough can cause your site to slow down drastically or even become inaccessible, which can be disastrous for your reputation. When choosing a host, check whether you are able to upgrade your plan as the needs of the website dictate. If you are locked into a plan that doesn’t provide you with enough bandwidth, you can end up paying high premiums for it, which will take a sizeable chunk out of your site’s profit margin. Most websites, even those containing a lot of media, tend to use far less than 10GB, which is the standard storage allotment for many entry-level Web Hosting plans. As with bandwidth, ensure that you have the flexibility to upgrade if the needs of the site demand it. Some very cheap hosting plans will offer only 1GB in order to sell at a lower price than the competition, but in reality storage is cheap and there is often not a big difference in price between 10GB and 1GB. In addition to the storage capacity, consider your databases and the space allotted to them, as most providers handle storage space and database space separately. For instance, a basic shared plan may provide 10GB of storage and ten 1GB MySQL databases. In this situation, most sites will hit the limitations of the database space long before the limits of the storage space. The control panel enables you to use the features included in your hosting solution. It offers a user-friendly way to access email addresses, file managers, backup wizards, application installers, script managers, and more. Most Web Hosting companies offer variants of the popular cPanel with their hosting plans. Site-building tools are a valuable feature to those who are looking for a one-stop-shop at which to design and host their site. They make the process of designing a website yourself easy through simple drag-and-drop interfaces. Most hosting plans include an array of applications and scripts, such as WordPress, that can be installed onto your server at the click of a button. This is especially helpful for new website owners as you don’t need any technical know-how to get your site up and running as you want it. By getting your Domain directly from the hosting provider, you can keep everything consolidated under one account. Conveniently, hosts usually offer a one-click procedure to add any domain to an existing hosting package. However be aware that some providers limit the number of subdomains, which can have a significant limitation is some scenarios. Registering a Domain can bring up some privacy concerns, as you are required to provide your name and address, and consent to that information being accessible online. If this is a concern, you have the option of paying extra for Domain Name Privacy. This allows the Domain display the name of the company providing the privacy service, rather than your name. While it will require an added charge, many would argue that it's a fee well worth paying. Ensure you have a robust email solution that provides enough mailboxes and features to enable you to make full use of it with your current hardware. For example if you want to be able to access your email on a mobile device, check that the mailbox will be fully compatible with IMAP protocols. By default, the vast majority of shared hosting accounts are setup with a dynamic IP address that changes whenever the server is rebooted or whenever the server’s data connection goes offline. It is the role of the DNS servers to track that IP address and translate it into a Domain Name that can be accessed regardless of the server's actual IP. A static IP address essentially gives a server a permanent home on the Internet that can be accessed universally, all of the time. This is better for interactive two-way connections including online gaming, as well as VOIP services such as Skype. Another major benefit is that you will never have the same IP address as another site which may have been blacklisted due to bad practice. This should be considered absolutely essential for anyone intending to host an eCommerce website as it assures your customers that their personal and financial information will remain secure during and after any transactions that occur on your site. Using SSL creates a secure, encrypted connection between the hosting provider's web server and the site visitor’s web browser (i.e. Google Chrome). This prevents malicious hackers from ‘skimming’ or collecting sensitive information as it is transmitted during the checkout process. Most websites can benefit from SSL Encryption, simply due to the increased level of visitor trust that comes with it. While you have the option to install a third-party shopping cart onto your web server, some prefer the simplicity of using one that is included in the hosting plan, even if it costs an additional fee. These can often be managed more easily, directly from the hosting control panel. Shopping cart services can typically be enabled in two ways. Some companies allow hosting customers to pick their preferred option and pay a small monthly fee for a specific software solution, while others enable all included shopping cart solutions for flat monthly charge. Most hosting plans offer some kind of analytics tools as an optional extra. However, the majority of people prefer to use Google Analytics. As this doesn’t need to be installed onto the server, having integrating reporting and analysis isn’t the priority it once was. Many hosts also provide SEO tools and advertising credits to help you get your website found quickly, which is a useful benefit for a small websites with limited budgets.